This was an incredibly exciting day for me! 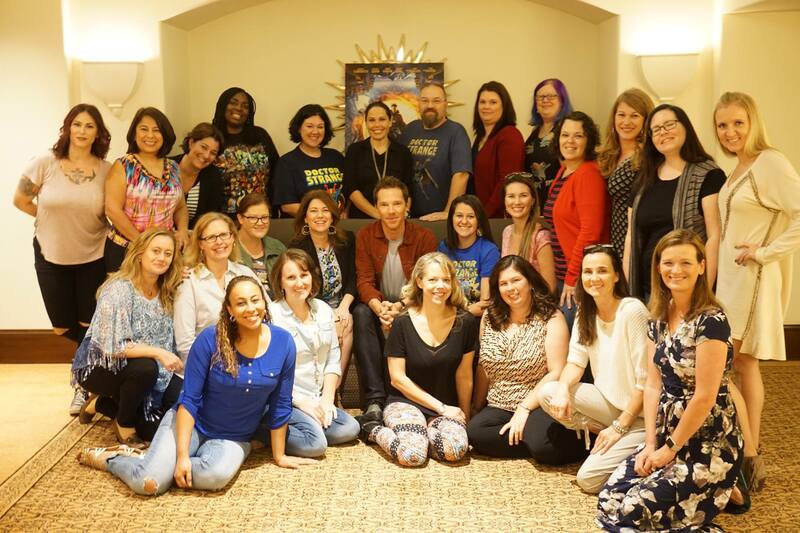 I entered the dreamy Montage in Beverly Hills and was ushered to the press room for bloggers where we met and interviewed with many of the cast from the new MARVEL Doctor Strange movie. My film review will be coming later but when Dr. 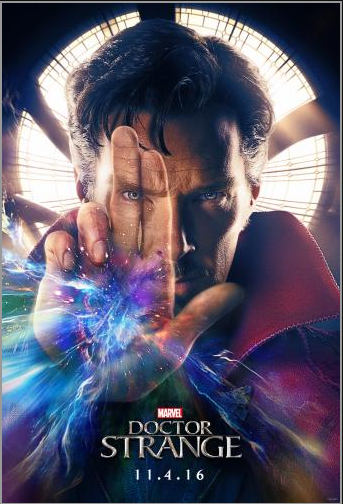 Strange hits theaters November 4, 2016 you’ll want to be there! 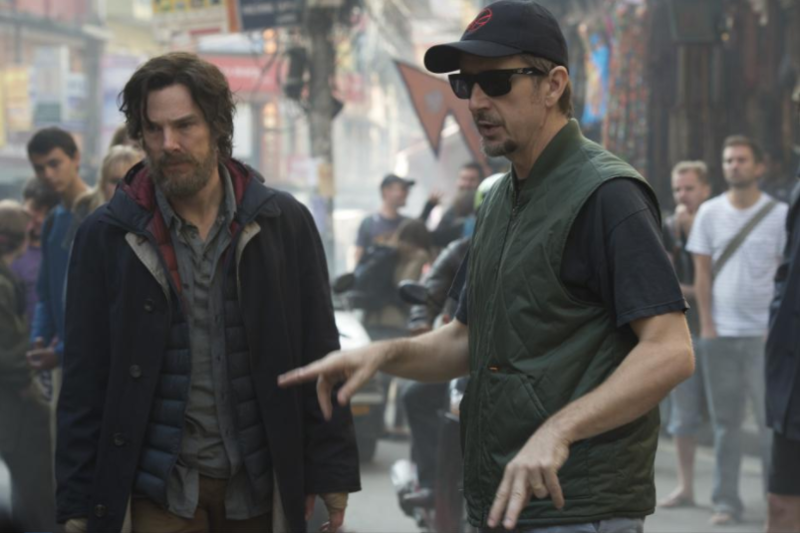 The popular actor Benedict Cumberbatch (Dr. Stephen Strange in the film) was first on our schedule to interview. From the second he walked in the door to the moment he left he was just hilarious! His personality was exactly as I would have expected based on the characters he has played in films and TV series! Q: How long did it take to get in and out of costume? A: Twenty minutes to half an hour. The boots took the longest, actually because those are real laces. It’s not Velcro. Q: What did you feel the first time you saw yourself with everything on? A: I felt like a kid. I mean it was just amazing. It was the first proper moment when I thought, “oh my God, I’m actually playing a superhero”. There’s nothing like it and I was very giddy. And then the day when the cloak was on – I just remember smiling. It was like I couldn’t contain myself. I never had this on my bucket list…..not even being a superhero. I didn’t ever think one day “I’ll be a superhero.”. Q: Can you tell me about the time you wore a costume inside a cafe in Manhattan? A: It was brilliant! It was the first day we’d all been out all together on the set and it was madness. So I said “Let’s just go somewhere.” And the crew said, “You’re in costume….you’ve got makeup on.” so I said, “Yeah, but it’s New York.” And sure enough that’s exactly what happened. But there was this New York moment which was just out of Ghostbusters, you know, when Rick Moranis is banging on the window going, “please help me! Help me!” And the dogs are chasing him. And they all turn around and say look at him…..everything goes back to normal in like five minutes in New York. I ordered an Arnold Palmer, I sat down, got a little bit hot. My makeup artist wasn’t thrilled. That was it. Q: Can you tell us about the audition process and what your reaction was when you got the role? A: This started with a conversation with an LA Times journalist, I think….when we were doing Star Trek press. 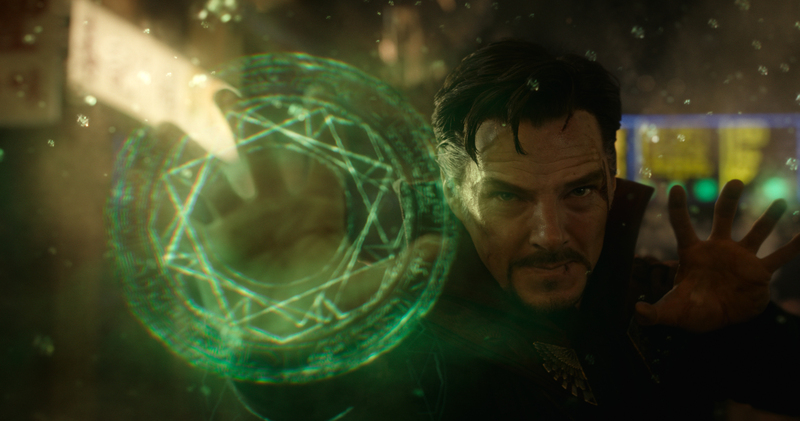 “You’d make a great Doctor Strange.” he said. I said “Doctor Who?” And he replied “No, that as well…” But then I was intrigued. I went into Marvel and we had a proper grown up discussion about it. And I was like, “oh, okay, this could be really interesting.” They said, “Oh, we wanna film it now.” At that particular point I was committed to a theater and director, producer and designer in the play Hamlet….so I couldn’t….I was heartbroken. Then they came back and said “We can’t not make this film with you. We really need it to be you.” For the first time ever in Marvel’s history, they postponed the schedule of the making and the release of the film for me which was amazing. Q: What was the weirdest moment on set? A: At four o’clock in the morning….in the middle of the scene where I was in a tuxedo, upside down, in a tank of water, in a Lamborghini. Q: What is the wildest thing you’d love to see your character do in future films? A: The sky’s the limit. I mean this guy defends our reality against other dimensions. So it’s pretty hard to stop at one thing. I did have a dream about the cloak sort of turning me into some kind of human drill and going through something. That’s not a spoiler for something that they’ve got planned…it’s probably wrong and silly. But it would be fun. Q: Did you have to go through training and actually go through repetition of certain things? How did you prepare? A: For the specifics of the spell casting, yes. There was this- this fantastic guy called Julian who’s a world class tutter, which is this hand movement thing – it’s called tutting. It’s very specific to the fingers….it’s like break dancing from the wrists up. I can’t recommend looking at some of it highly enough. It’s astonishing. I mean it’s really impressive. Julian does it with the whole of his upper body, but it is phenomenal. The biggest thing I sort of accomplished was the gymnastics. The aerial gymnastics for the wild work I did in the stunt scenes or the flying or being catapulted backwards through endless glass cabinets. It was tough. I won’t lie. But it was really enjoyable. I was training every day, or every other day, just to get my body in shape and to be fit enough to do it. Then yoga to make sure the body was supple enough. Then doing martial arts. Then doing stunt choreography for specific fight scenes. Benedict Cumberbatch did NOT know who Dr. 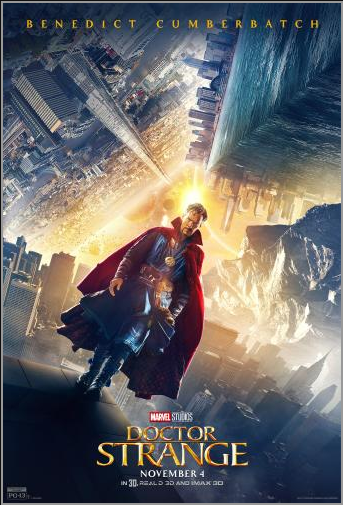 Strange was before this film. Benedict Cumberbatch wanted to make Dr. Strange a little less arrogant but slightly more humorous than the comic book Dr. Strange. More 21st century. Benedict Cumberbatch is terrible at watching horror films & never makes it through one! This was our team of bloggers during the Disney press trip. I had a fantastic time meeting every single person on the team, collaborating, and and experiencing our Q&A Interview sessions with the Doctor Strange cast. 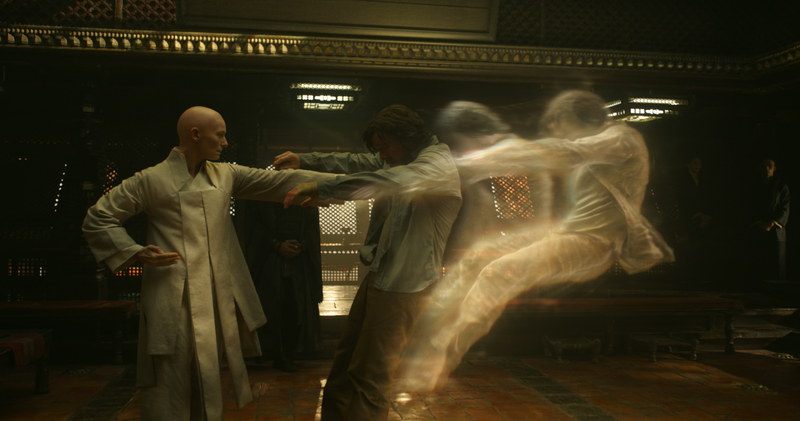 For more interview posts and exclusive insider info follow along on Twitter at #DoctorStrangeEvent . 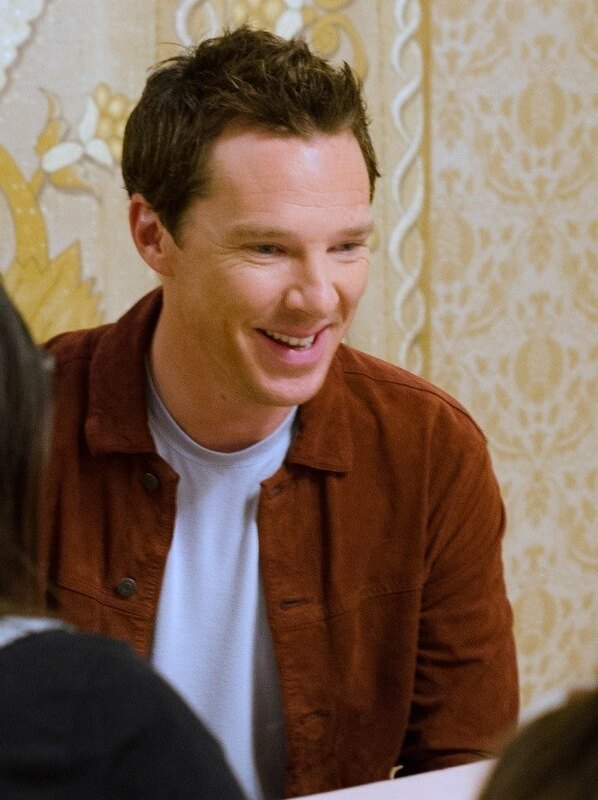 How YOU Can Join Benedict Cumberbatch & Help Save the Kids! This is SO simple and only takes a few seconds! 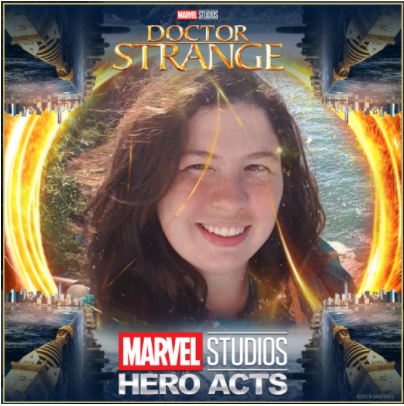 Join Benedict Cumberbatch, myself, and thousands of others and upload your photo into a MARVEL Studios overlay like mine above! For EVERY photo uploaded MARVEL Studios will donate $5 (up to $1 million) to help save a child!